GL40: 3.8v 3300mAh replacement rechargeable Li-PO battery for Moto Z Play Droid XT1635. HZ40: 3.8v 2820mAh Li-PO battery SNN5983B for Moto Z2 Play, XT1710-01/02/06/07/08/09/10/11. Includes tool set for installation. 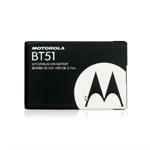 BT51 (aka SNN5814A) : 3.7 volt rechargeable Li-ION battery for Motorola cellular. See extensive x-ref list of expanded page. BC60 : 3.7v 820mAh MOTOROLA Li-ION battery. Replaces BC50, BC60, BC70, SNN5768/A, SNN5769/A, SNN5779/A, SNN5781A. BC60 : 3.7 volt 820mAh rechargeable Lithium ION battery for Motorola phones.Replaces original part #s SNN5768, SNN5786A, SNN5769, SNN5769A, SNN5779, SNN5779A, SNN5779B, SNN5781A, BC50, BC60, BC70. BH5X : 3.7v 1500mAh Li-ION battery for Moto. Droid X, MB810, MB870. Battery x-ref SNN5865. BH5X : Motorola brand 3.7v 1500mAh Li-ION battery. Fits Droid X, MB810, MB870, etc. Part SNN5865A. 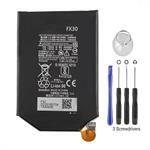 BH6X : 3.7 volt 1880mAh Li-ION battery for Motorola Droid X, Droid X2, MB860, etc. X-ref part # SNN5880A. Replaces BH6X, BH5X, SNN5880, SNN5880A, SNN5865, SNN5865A, etc. This is a standard-size replacement battery. Replaces original battery. 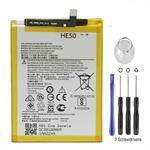 BQ50 : 3.7 volt 910mAh rechargeable Li-ION battery for Motorola cellular. X-ref part # SNN5804A, SNN5804B. See phone list for best match. Droid-X-3800: 3.7v 3800mAh Li-ION Extended battery for Droid X, X2, MB810 cellphones. Includes back cover for phone (battery is double-thickness). Replaces & upgrades BH5X, BH6X, SNN5865/A, SNN5880/A. 3 x 1.2volt 850mAh rechargeable Nickel Hydride 5/4AAA cells. Batteries are approx. 2" long, 0.4" dia. They fit inside Mot. Talkabout series cellphones. Rare size cells! They re-charge while inside the phone. CPMO-191: 3.6v Lithium Ion pack for Motorola T191 cellphones - SALE !! The CPMO-191 is a 3.6volt 700mAh Lithium Ion battery for Motorola T191 cellphone. Pack has silver back, like the original. Picture shows front & back; price is for ONE battery pack. CPMO-T193 : 3.6v 650mAh Li-ION battery for Motorola T193, T192 cellphones - SALE! The CPMO-T193 is a 3.6v 650mAh rechargeable Lithium ION battery for Motorola cellphones. Fits phone models T193, T192, etc. 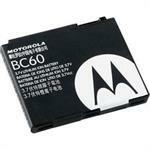 BR56 : 3.7volt 780mAh Li-ION battery for Motorola cell phones. WEB SPECIAL ! The BR56 is a 3.7 volt 780mAh Li-ION battery for Motorola cellphones, such as MOTORAZR V3, V3a, V3c, V3e, V3i, V3im, V3m, V3r, V3t, VE20, MOTOPEBL U6. Replaces SNN5696, SNN5696A, SNN5696B, SNN5696D, SNN5777A, SNN5794A, SNN5797B. WEB SALE! - $ 16.95 ea. 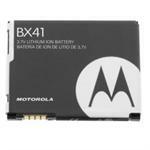 BX41 : 3.7volt 770mAh Li-ION Battery for Z9 Moto, V8 RAZR2, RAZR2 V9M, V9x RAZR, i9 Stature. Original new Motorola factory product. X-ref part # SNN5806A. BN71 : 3.7 volt 1170mAh Li-ION battery for Motorola cellular. X-ref part # SNN5836A. Fits Motorola Barrage V860, Hint QA30, Quantico W845, i856 Debut. CLM5784A (BK60) : 3.7v 880mAh Li-ION battery for Motorola A1600, EM30, ROKR E8, SLVR L71, SLVR L72, SLVR L7e, SLVR L9, W510. CPMO-V3 (BR50) : 3.7v 710mAh MOTOROLA Li-ION battery for RAZR V3. Replaces SNN5696B / BR50. The CPMO-V3 (aka # BR50) is a 3.7 volt 710mAh rechargeable Lithium-ION battery pack for Motorola phones. Replaces battery Part #s SNN5696B / SNN5777A / BR50 . Fits RAZR V3, V3C, V3i, V3M phones etc. 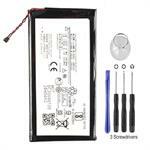 CLM5805A (BX40, BX50) : 3.7v 740mAh Li-ION battery for Motorola RAZR V8, V9, V9m, U9, ZN5, etc. The CLM5805A (aka # BX40, BX50) is a 3.7 volt 740mAh rechargeable Lithium-ION battery pack for Motorola phones. Fits RAZR V8, RAZR V9, RAZR V9m; RAZR2 V8, RAZR2 V9, RAZR2 V9m, Motorola U9, Motorola ZN5. BC50 : 3.7 volt 750mAh Li-ION battery for Motorola cellular. Mfg. part # SNN5779A. See x-ref phone list for best match. BN61 : 3.7 volt 950mAh Li-ION battery for Motorola cellular. (x-ref # SNN5832A). BN80 : 3.7 volt 1380mAh Li-ION battery for Motorola cellular. X-ref part SNN5851. 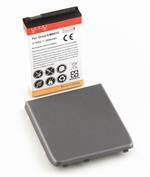 The CLM5789BA (aka # BZ60) is a 3.7 volt 900mAh rechargeable Lithium-ION battery pack for Motorola phones. 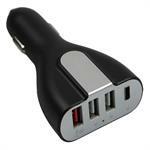 Fits the MOTORAZR maxx V3, MOTORAZR maxx V6, MOTORAZR V3xx, RAZR V3xx. Cross-reference part #s SNN5789B, BZ60, CFNN1045. The PDAHTCHD is a 3.7 volt 1350mAh rechargeable Li-ION battery for T-MOBILE phones. Fits the T-MOBILE HTC Touch HD, Blackstone, & others. 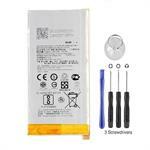 Replaces battery model #s 35H00120-01M, BA S340, BLAC160.